25 January 1944: Keel laid by the Consolidated Steel Corp., Ltd., Orange, Tex. 58k Richard Alonzo Jaccard was born 01 July 1918, in Troy, Mo., and enlisted in the Naval Reserve 29 October 1940. He later underwent flight training and upon graduation was commissioned Ensign 27 September 1941. Reporting to famed carrier Enterprise (CV 6) in April 1942, Ens. Jaccard took part 04 June 1942 in one of the most important battles in all naval history, the Battle of Midway. As American carrier groups moved to meet the Japanese thrust at Midway, Jaccard, as part of Scouting Squadron 6, attacked enemy carriers during the morning, knocking out Akagi and Kaga. 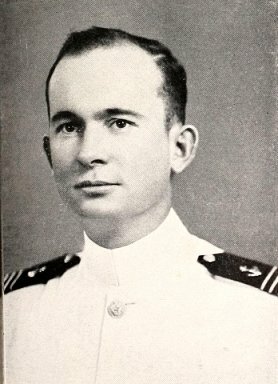 That afternoon the squadron carried out another devastating attack, sinking carrier Hiryu, For his part in a great victory, Jaccard was awarded the Navy Cross. 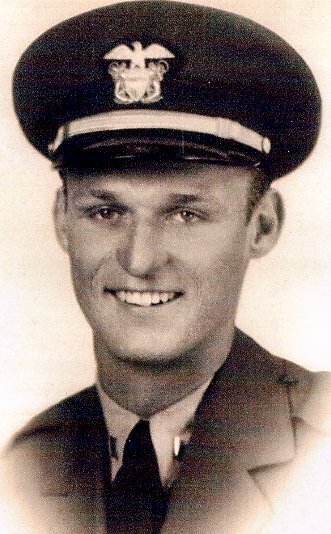 Following further missions with Scouting Squadron 6, Jaccard was transferred to Bombing Squadron 6 in Wasp (CV-7). While supporting the Guadalcanal campaign from the carrier. Ens. Jaccard was killed when Wasp was torpedoed and sunk 15 September 1942. 226k circa July-September 1944: At Sea in the Atlantic - USS Jaccard (DE 355) probably taken during her shake down cruise. 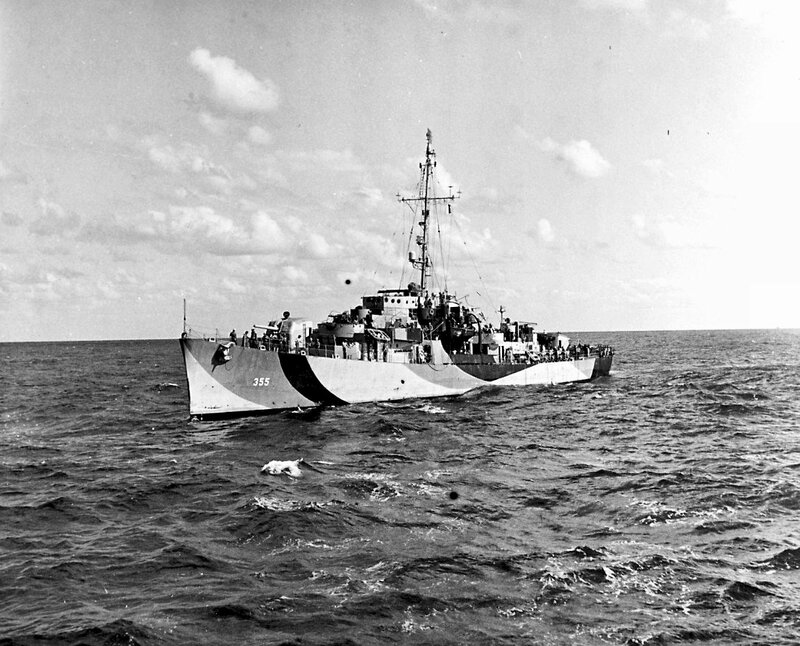 298k circa July-September 1944: At Sea in the Atlantic - USS Jaccard (DE 355) underway at sea during her shakedown cruise. 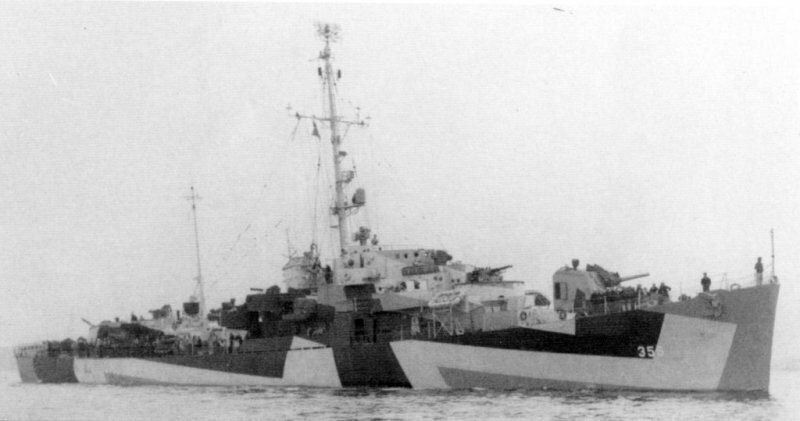 Jaccard's port side (seen here) is painted in Camouflage Measure 32, Design 14D. 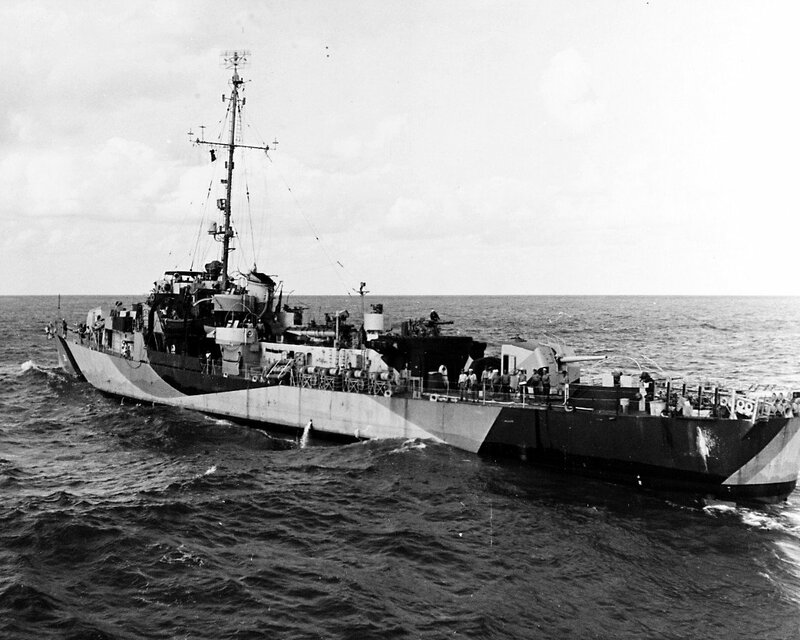 Her starboard side was apparently painted in Camouflage Measure 31 or 32, Design 3D. View the USS Jaccard (DE 355) DANFS history entry located on the Naval History and Heritage Command web site. View the official War History of USS Jacccard as submitted by the ship at war's end.